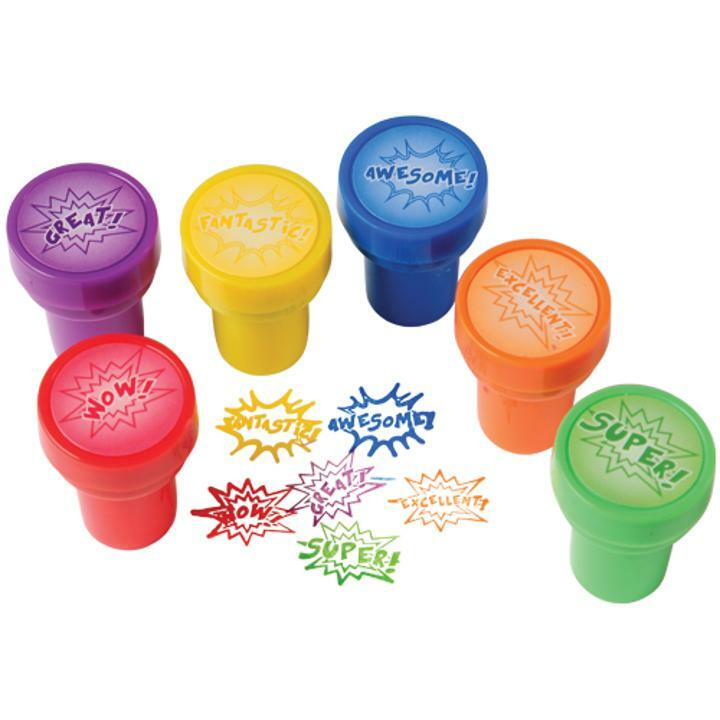 Cheap Superhero Stampers - 6 Ct.
Save the day with words of encouragement with these superhero stampers! Features words like "Great", "Fantastic, and "Awesome" inside a comic book starburst for added fun. Perfect stamps for grading papers or use them as party favors at your next superhero-themed event. L: 4.0 in. W: 1.15 in. H: 5.15 in.